First, I would like to tell all of my readers, and I do mean all, that I understand your anguish and concern over what has happened to gold and silver for the past few days. No matter how strong your conviction, no matter how firmly you cling to the “big picture” view of gold and silver, I know you are all upset and worried and maybe even a bit confused. How can this be happening? Hey, a gold bull market is not an easy ride and big corrections are part of the story – especially when you have the likes of JPMorgan, the PPT and the Fed on the other side of the trade, doing everything in their power to scare you out of your positions and back into dollars and government bonds. I don’t know if words will help, but I want to assure you that this is a PAPER, not PHYSICAL phenomenon and the premiums for real coins and bars will not drop along with the Comex contracts. Quite the contrary; premiums are increasing now and there is a growing separation between the paper market and the physical market. This almost has the “feel” of 2008 when everything collapsed, even gold, but shortly thereafter, gold rallied back and was the first asset to fully recover. As you may recall, silver too rallied, to eventually set a new all-time record. The fear that overtook the markets was soon replaced with a realization that the Fed and sister central banks would add all the funds necessary to stabilize things. This is also true today, as Europe is “on the brink,” plus 2012 is an election year. Nothing has changed – for the better. 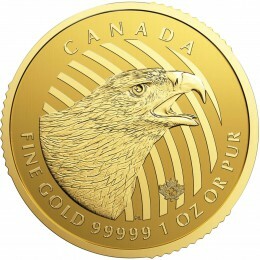 All things favoring gold and silver are in tact and your best course of action is to sit tight, as this will soon pass. Jim Sinclair and Richard Russell are not concerned enough to even write about it today. But I felt a little last minute hand-holding was in order. 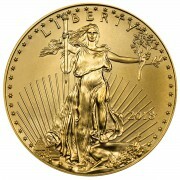 Trust me, 2012 will be a spectacular year for gold and silver!!!! The first article in today’s daily is from our friend, Trader David R. I suggest you read it carefully. From a “traders” point of view, here is what is happening to gold and silver. Gold was clobbered today for nearly $40, or more than 2.5%. When was the last time gold was allowed to RISE 2.3%? I can’t recall when it last happened. Just remember, this is taking place in the rigged Comex paper market and has no lasting negative impact on physical prices. The lower they take the price, the more the buying enters the market from the Far East. China and India stand ready to take all the “cheap” gold that the West has to offer. 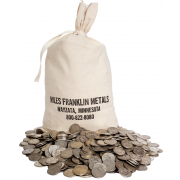 I expect our business at Miles Franklin will be very robust, after the first of the year. 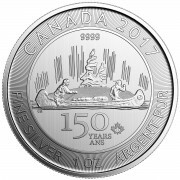 I can almost hear them cheering in India and China as they have been handed a huge gold and silver discount for a New Year’s present. No doubt, many gold bulls will be discouraged, but I hope at least my readers will know better and take full advantage of the lower prices – which will not last for long. It defies all logic (unless you understand the Banking Cartel’s manipulation of gold and silver that is taking place) why gold would lose its luster when Iran is threating an oil blockade, Europe is unraveling and our pathetic government is caught up in gridlock and can not find a way to slow down the ever-growing debt, which will soon be increased another $1.2 trillion without a whimper. Frankly, the fundamentals for gold and silver have NEVER been better and the fundamentals will win-out. As bad as the drop feels, gold is now in the $1,520s, I want you to look at the 1-year chart. This is not the end of the bull market. The correction only takes gold back to last April and July levels and we are still more than $113 ahead of last year, at this time. As you can see, gold was around $1,350 last December! It took off after the first of the year. The same will be true this year as well.